Make yourself at home in this fresh, updated Knollwood Heights home! Fantastic location and private setting on very quiet street! 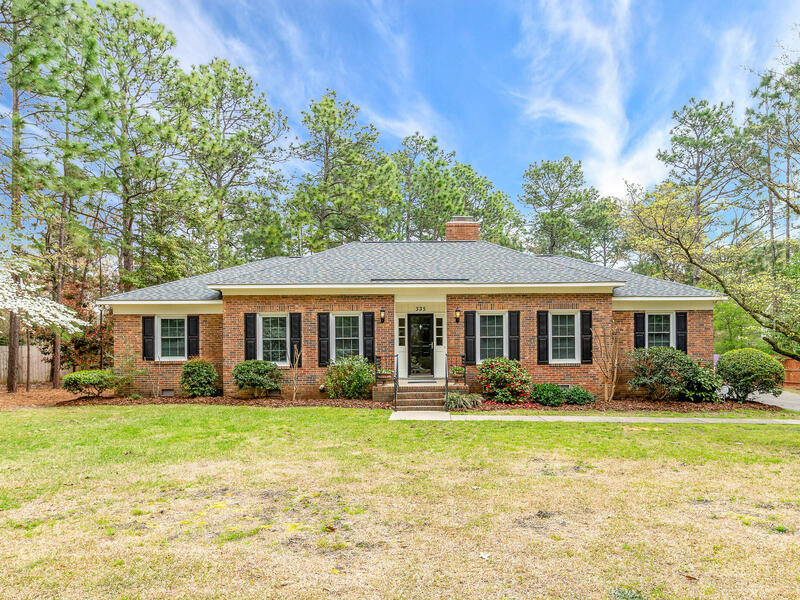 Just minutes to Downtown Southern Pines, shopping etc! Walking distance to Reservoir park and greenway trail system! Very convenient to brand new McDeeds Creek Elementary! Beautiful all brick home, hardwood flooring, brand new roof (2019), newer HVAC (2014), fresh paint throughout. Stunning remodel of both bathrooms in 2019, granite in kitchen and updated appliances! Lovely back yard with sunny deck and plenty of storage! Don't wait, this home will not last!